Not to be confused with BBC Radio 4's The Film Programme, presented by Francine Stock. Film 2018 or The Film Show is a British film review television programme, which was usually broadcast on BBC One. The title of the show changed each year to incorporate the year of broadcast. Between September 2016 and its cancellation in December 2018, The Film Show used a rotating presenter format. The show was first broadcast on 16 November 1971 but it was only aired in the South East area of the UK under the title Film '71. It was then aired in all areas of the UK in 1972. The show was first hosted by several presenters, including Joan Bakewell, Frederic Raphael, Iain Johnstone, and Barry Norman. Barry Norman became permanent host of the series in 1972. For his first episode on Film 72, his first film review was of The Last Picture Show, while his first studio interviewees were Charlton Heston and James Stewart. For much of his time on the show, "with Barry Norman" was appended to the show's title. Norman remained as host until 1998, except for a few months in 1982, when he was busy with other projects and Iain Johnstone returned as temporary host. Norman eventually left the show after signing a contract with BSkyB, with his last appearance being at the end of June 1998 hosting Film '98. With the series now described as the BBC's flagship cinema review, Norman's departure to Sky was said by The Guardian in 2002 to have been "seismic", and due to its nature and timing, his exit was described as being acrimonious. Norman said of the departure, "I honestly believe that if they had said to me, 'We would like you to work out your contract but then we don't want you any more,' they would have given me quite a big send off – at least they would have had a drinks party. But because I left at a time that was not convenient for them I became a non-person. Even on the last day, nobody called up to say, 'Good luck in your future life,' or even 'drop dead'." Of his reviewing style Norman said: "I always knew that nobody's right and nobody's wrong in criticism. The only thing I could do was to make sure that whatever I said was what I really believed." Jonathan Ross was chosen as the next host, and presented the show from 1999 until March 2010. 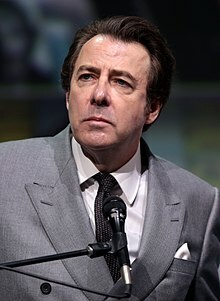 Reflecting the change in host, the phrase "with Jonathan Ross" was appended to the show's title. With Norman having left at the age of 64, it was reported that the BBC were looking for a younger presenter for the show, and had chosen Ross from a shortlist of test broadcasts that also included Mariella Frostrup and Johnny Vaughan. Ross began presenting the show as Film '99 in March 1999, on a contract reportedly worth £500,000 a year. Ross, described by the BBC as a long-time film buff and fan of cult movies, stated that he had dreamt of doing the job since childhood. Film 2008 was briefly removed from the schedules during Ross's 12-week suspension from all BBC activities following the Sachsgate controversy. Ross presented the programme for the last time on 17 March 2010. This came after he announced in January 2010 that he would not be renewing his BBC contract, with his BBC One chat show and BBC Radio 2 show both also finishing in July 2010. In October 2010, Claudia Winkleman took over as host of Film 2010 in a revamped format. This saw the adoption of a live studio format and the introduction of a co-presenter, film journalist Danny Leigh. The first episode of Film 2010 with Claudia Winkleman aired on Wednesday 13 October at 10:45 pm. Regular contributors included film critics Catherine Bray, Chris Hewitt, and Antonia Quirke. BBC Radio 5 Live's Mark Kermode had been identified as a likely successor to Ross for the show. However, in March 2010, Kermode ruled himself out of the job, and instead Winkleman was announced as a surprise choice for the presenter's role. Damon Wise of Empire feared that Winkleman's appointment represented a rejection of film knowledge as a requirement of a host for the show, and that it might foretell the demise of the series in the same manner as Top of the Pops, "another flagship BBC show that was allowed to slide out of existence." The Guardian stated, through her recent hosting of Sky Television's coverage of the Oscars, Winkleman had "proved both a passionate and engaging advocate of cinema," while her husband Kris Thykier is a film producer with credits on several mainstream releases. She also presents a weekly arts show on BBC Radio 2 on Friday nights, which covers film. When the programme returned for a new series in November 2012, it began being referred to in the titles as Film 2012 with Claudia Winkleman and Danny Leigh with Leigh now co-host alongside Winkleman. In September 2016, Winkleman announced that she would be leaving the show. Following her departure, the show was hosted on rotation. Clara Amfo, Zoë Ball, Edith Bowman, Charlie Brooker, Al Murray, and Antonia Quirke, have all hosted at least twice. Danny Leigh served as the resident film critic from 2010 to 2017. Following Leigh's departure, recurring critic Ellen E Jones became the new resident critic. Each show, the presenter and resident critic were joined by another established screenwriter or critic. These included: Peter Bradshaw, Rhianna Dhillon, Chris Hewitt, Larushka Ivan-Zadeh, Tim Robey, and Jason Solomons. ^ "Show referred to as The Film Show". ^ "BBC axes Film programme after 48 years". BBC News. 28 December 2018. Retrieved 28 December 2018. ^ "Barry Norman looks back at 21 years of the film programme" (Film '92), YouTube.com. Retrieved 16 October 2009. ^ a b c d e MacInnes, Paul (29 March 2010). "Claudia Winkleman named as Jonathan Ross's successor on Film 2010". The Guardian. London. Retrieved 27 July 2010. ^ Viner, Brian (24 April 2001). "Barry Norman: Films ain't what they used to be". The Independent. London. Retrieved 22 July 2010. ^ "Film 98 with Barry Norman (1998)", BFI. ^ "Barry Norman defects to Sky". BBC News. 9 June 1998. Retrieved 22 July 2010. ^ Brooks, Libby (29 August 2002). "So I said to Liz Taylor..." The Guardian. London. Retrieved 22 July 2010. ^ "Jonathan Ross in frame for Film '99". Daily Mail. 12 November 1998. Retrieved 22 July 2010. ^ "Jonathan Ross to host BBC film show". BBC News. 22 December 1998. Retrieved 22 July 2010. ^ "The Film 99 top 100". BBC News. 8 December 1999. Retrieved 22 July 2010. ^ Conlan, Tara (31 October 2008). "BBC to pay cancellation costs on Jonathan Ross shows". The Guardian. London. Retrieved 22 July 2010. ^ a b "Jonathan Ross to quit as TV and radio host with the BBC". BBC News. 7 January 2010. Retrieved 22 July 2010. ^ "Claudia Winkleman named as presenter of new-look Film 2010" (Press release). BBC. 29 March 2010. Retrieved 29 March 2010. ^ "Regular Film 2013 contributors". ^ "Regular Film 2014 contributors". ^ "Kermode not taking over Film 2010". Metro. 26 March 2010. Retrieved 22 July 2010. ^ "Claudia Winkleman to take over from Jonathan Ross as Film 2010 presenter". Metro. 30 March 2010. Retrieved 22 July 2010. ^ "Can Claudia Winkleman Save Film 2010?". Empire. 29 March 2010. Retrieved 22 July 2010. ^ Claudia Winkleman [@ClaudiaWinkle] (3 September 2016). "Am so sad to be leaving the film show, I just felt I was unable to give it the time it deserves. All love to brilliant Danny and the team" (Tweet) – via Twitter. ^ "Ellen E Jones replaced Danny Leigh as resident film critic". This page was last edited on 25 April 2019, at 15:53 (UTC).